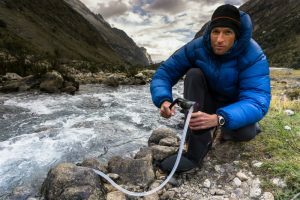 With the importance of staying healthy, you will do anything to make sure that everything you consume is safe, and one important need to achieve such is clean water. With all the impurities and pollution that is apparent in the environment, are you still confident about the water you drink? 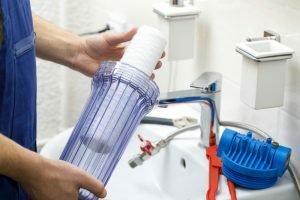 Maybe it’s time to install the best faucet water filter for your home and office. 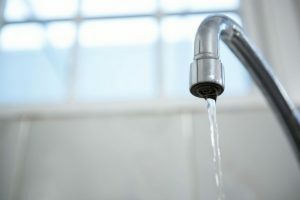 Faucet water filters are easy to install since all you need to do is remove the screw of the aerator from the faucet’s threaded tip and screw in the filter. It instantly removes the impurities of the tap water right before you drink it. In every product, there are few downsides, and when it comes to faucet water filters, the water flow becomes slow. Also, not all water filters match all faucets. Some require frequent change of filters while others get rusty over time. Hence, let's evaluate three models to find out which one works best for you. 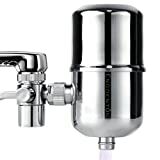 We have carefully selected three faucet water filters. Each of these filters was evaluated according to their key features, advantages, and minor drawbacks. What makes them worth it to install and guarantee their effectiveness? Let us find out. 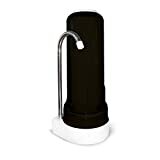 Available in four colors including black, green, blue, and white, the Ecosoft Countertop Water Filter System can be attractive equipment in your kitchen interior. That said, this Ecosoft water filter has more to offer. The Ecosoft Countertop Water Filter System is easy to bring and set up anywhere. You can use it at home, in the office, RVs, or bathrooms. It weighs 3.4 pounds and measures 3.5 by 3.5 by 12 inches. Made of an activated coconut-based carbon shell, it removes odor, chlorine, lead, sediments, and other harmful elements. Also, the patented, European-engineered Ecomix Technology integrated makes it more effective than a standard coal carbon shell. Upon purchase, you will receive an Ecosoft filter casing, leak-proof sealing adapters, a faucet adapter, a wrench, Polish chrome faucet, an Ecosoft filter base, a free filter cartridge, and filter tubing. These parts are all made from European Food Grade plastic and BPA-free materials. 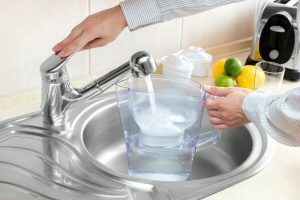 What is more interesting is that the Ecosoft Countertop Water Filter System can be installed by following six easy steps. The adapter fits most faucet models. The Ecosoft Countertop Water Filter System is made with innovative technology that removes multiple water impurities. It comes with all the things you need to install it, and it is easy to install even though the instructions provided are a little inaccurate. 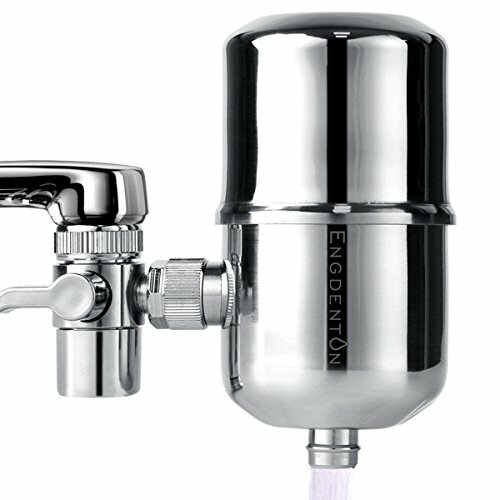 The Engdenton Faucet Water Filter has made it to our top-selling list because of its sturdy built and high-quality materials. Let us examine its features, pros, and cons carefully. 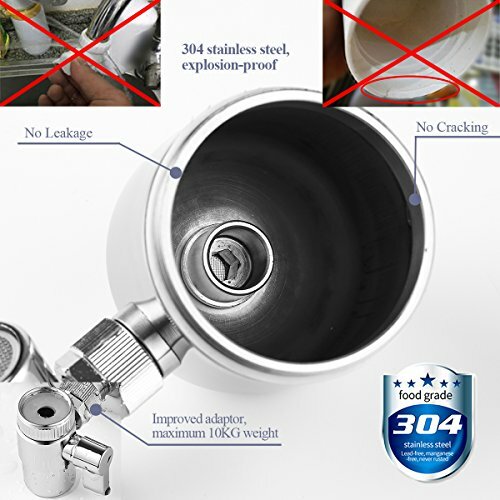 The Engdenton Faucet Water Filter is designed not to crack and leak. Its case is made using premium food-grade 304 stainless steel, while the filter system is made with advanced activated carbon fiber technology. As such, it can eliminate dirt, rust, sand, organic elements, and other unwanted debris, as well as hinders the growth of bacteria. 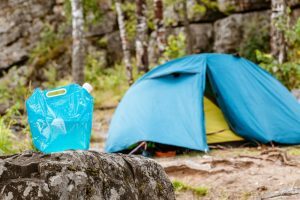 The filter can last up to three months of continuous use or a maximum of 200 gallons of water. This filter system produces eight cups of filtered water per minute, making it ideal for organizations, offices, and big households. 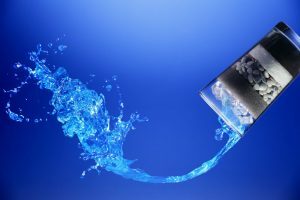 When it comes to the water it produces, it has a temperature ranging from four to 60 degrees Celsius. 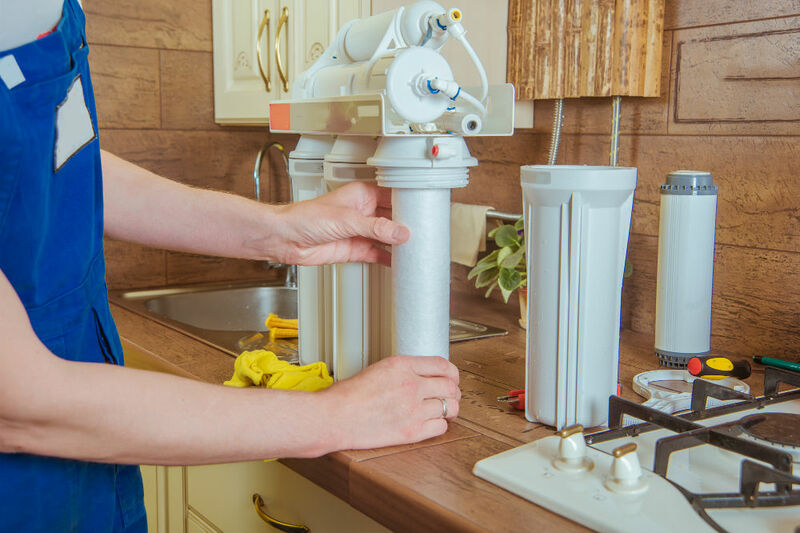 Additionally, installing the Engdenton Faucet Water Filter doesn’t require tools or professional help, just make sure that it fits your faucet type. That said, this is compatible with faucets that have 21.5mm outside threaded diameter and 23.5mm inner threaded diameter. Lastly, the package comes with a cartridge, a filter, faucet adaptors, a gasket, and a user manual. 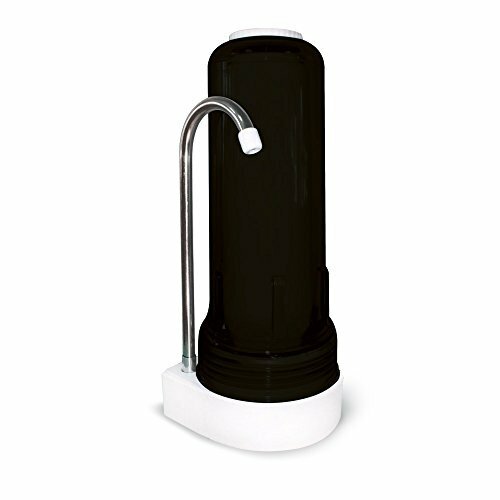 With a combination of activated carbon filtration technology and premium materials, the Engdenton Faucet Water Filter removes unwanted water particles, aside from TDS. The filter lasts up to three months and prevents bacteria from forming. The Waterdrop Faucet Filtration System is an affordable product, and its low price doesn’t compromise quality. What makes this faucet filter system a decent one? 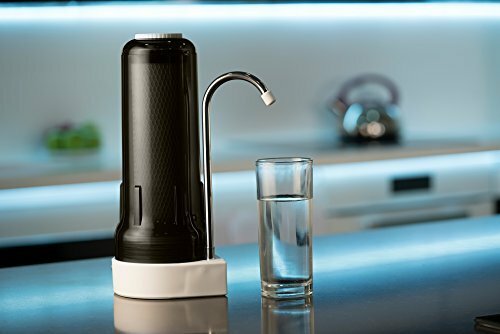 Made with activated carbon fiber (ACF), the Waterdrop Faucet Filtration System has an adsorptive capacity of up to 10 to 12 times better than an ordinary carbon filter. It has a 0.5-micron pore size and an anti-bacterial property. The filter can last up to six months of use or approximately 320 gallons of water, and this helps you save money. With its hi-flow design, this Waterdrop filter system can produce up to ten cups of pure water in one minute. Additionally, it comes with a standard faucet adaptor size, which makes it easy to install and fit many types of faucets. 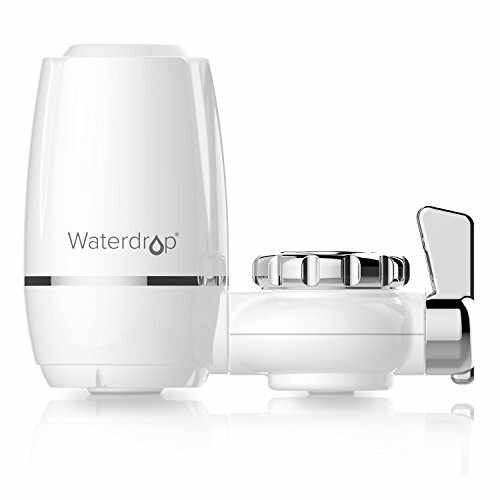 Lastly, the Waterdrop Faucet Filtration System comes with a 30-day money-back guarantee, and the come with a one-year limited warranty. 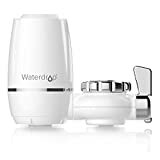 The Waterdrop Faucet Filtration System is very affordable and saves you more money because its filter that can last up to six months. It filters out water impurities which result in better-tasting and safe drinking water. 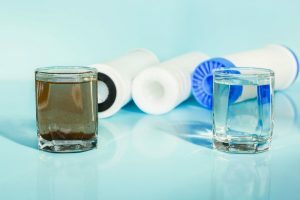 Depending on the kind of tap water you have and the water impurities your tap water contains, you can identify which among the three best faucet water filters suits your needs. 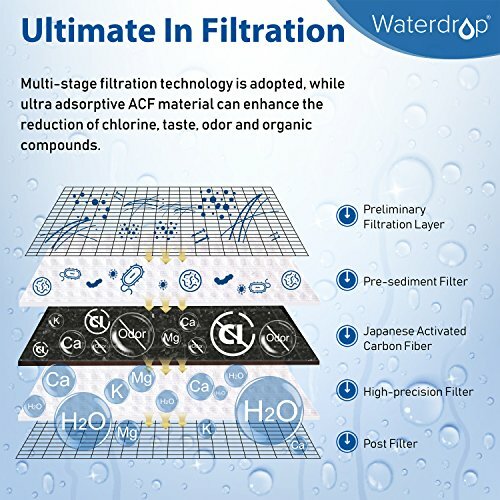 Most people will choose the Waterdrop Faucet Filtration System because it is cost-effective and it is made with activated carbon fiber filter that removes impurities more effectively than a regular carbon filter. 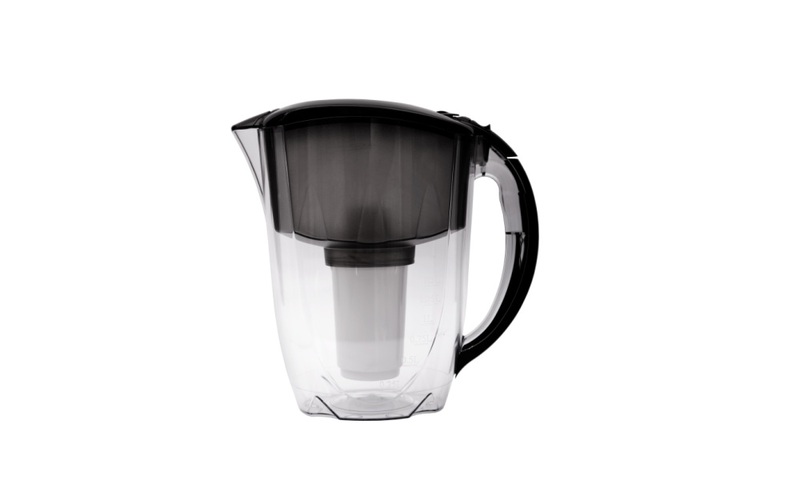 Also, filtered water flows fast, allowing it to produce ten cups within 60 seconds. On the other hand, the Ecosoft Countertop Water Filter System is also a great choice for those who have the budget. It is made with innovative European-engineered filtration technology that effectively eliminates a lot of impurities. 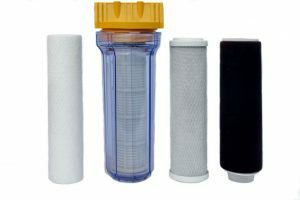 It also comes with a bonus filter cartridge, is easy to install, and can be used in many places.